Individual counselling at the heart of the service. The Epsom Counselling Service (ECS) provides individual and couple counselling and therapy in Epsom. We opened our doors in 1999 to offer affordable, easily accessible therapy in a confidential, and safe, environment. Our rooms are situated within the Methodist Church complex in Ashley Road. Our approach and ethics are tailored to all, and not dependent on any religious faith. 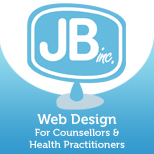 We continue to offer individual counselling at the heart of our service, offering support to clients in difficulty. Additionally, the practitioners can offer psychotherapeutic help especially if client and therapist choose to develop their therapy, looking deeper at issues that may have come to light. Whilst the ECS is based in Epsom, clients visit us from all around Surrey and South West London. Towns include Kingston, Sutton, Esher, Ewell, Cobham, Leatherhead, Ashtead, Redhill, Reigate and Dorking Banstead, Chessington,. As part of the wider range, at the formal end of the services available, ECS also offers couples counselling and life skills coaching. For qualified and ‘in training’ counsellors the ECS offers seminars and workshops toward continuing professional development (CPD certificates provided), offering affordable support within a professional environment. 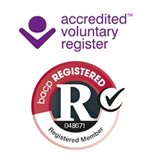 The counselling team is led by experienced, qualified, professional practitioners who are accredited members of the UK’s leading counselling regulatory body, the British Association for Counsellors and Psychotherapists (BACP). The team members are qualified, or in their last years of training on a BACP or UKCP accredited training course, leading to a degree in Integrative, Psychodynamic or Transactional Analysis in psychotherapy or psychotherapeutic counselling. The Epsom Counselling Service is proud to have strong links with the counselling faculty at Kingston College, a leading counsellor training establishment in the South East. As well as Metanoia Institute -a centre for excellence in therapeutic studies. All team members are regularly supervised by experienced, senior BACP or UKCP accredited supervisors. The Epsom Counselling Service is pleased to be working in association with East Surrey NHS through their Primary Care services, First Steps and New Thoughts. Seminars, lectures and workshops are run either ‘in house’ or by invited guest speakers, practitioners and health professionals. 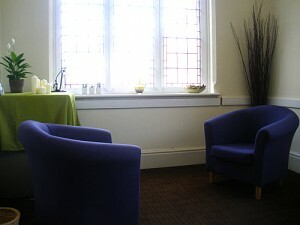 OUR COUNSELLING ROOM: It’s with great pleasure we can announce we are back to our original room at the Methodist centre. This room has been refurbished and refurnished, offering a relaxed and private environment for clients and counselors alike. PARKING AT THE CHURCH: Please note that the Car Park at the church is NOT available for the Counselling service. Vehicle owners may be fined when parking without permission. Parking is in the Ashley Centre car park or Town Hall car park (accessed via Dulshott Green and Church Road) and both about five minutes walk away. Ruth’s workshops are practical, interactive and experiential. She plans to tackle tricky subjects with an underlay of theory and a collection of exercises, discussion and small group work which focus on effective practice. Her hope is that every participant will leave with an enhanced toolbox and an enjoyable experience. 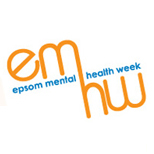 The Epsom Counselling Service is proud to be associated and participate in the Epsom Mental Health Week. This community information event runs annually every October http://www.epsommentalhealthweek.org.uk/ – find out more on our philosophy page. The ECS, working in association with Surrey County Council Library Services, promotes health and mental well-being throughout the Epsom community. Supporting and promoting events in the area – find out more on our philosophy page.